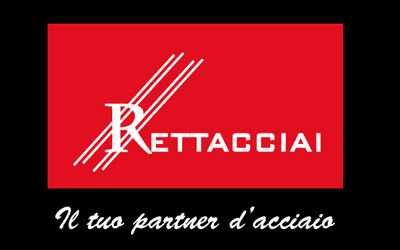 Rettacciai has always focused on the service it offers its customers: the high quality of the steel, the efficient machinery, the professionalism and experience of its staff make this company the reference point for supplying bars of various types of steel, the cutting of the bars and their grinding services in the company. All you need in one reference point. Workshops, turning companies and many other production business turn to Rettacciai because they find a wide range of steel qualities in the company. An advantage that customers concretise in the reduction of management costs and problems they encounter when dealing with several suppliers. To supply customers with the best products of the current steel industry at competitive conditions and prices, Rettacciai turns to various businesses in the market, selecting the most reliable partners and excellent suppliers. 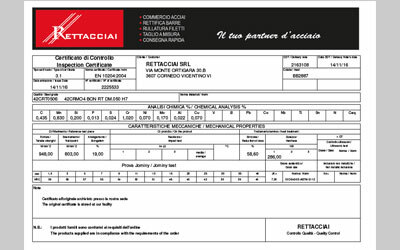 Due to the state-of-the-art machinery in the company and to the experience of the staff, Rettacciai also provides technical assistance and consultancy to find suitable steels and develop the appropriate solution to solve issues posed by customers. The bar cutting-to-size service is ensured by the cutting and splitting centres in the company; an area with efficient equipment and automatic saws that carry out round, square, flat precision cutting, to quickly provide the ready-to-use steel. Bar grinding and other pieces. 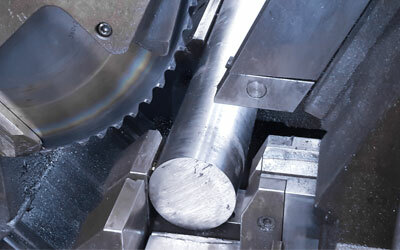 Grinding the bars (solid and tubes) and other pieces upon customers’ request is carried out thanks to the wide range of materials available and to the new plant that supplies steel with precise machining diameters (from 5 dm to 140 dm) in short times. 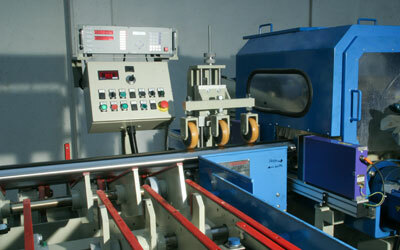 The bar grinding service is performed in Rettacciai also for third parties. The company supplies the steel and bars also through home delivery with its own transport. In-house staff take care of the packing, with practical and safe packaging, ensuring maximum product conservation. 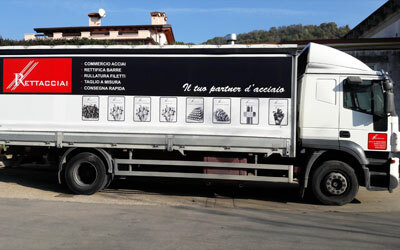 Delivery rapidity and safety are added values that distinguish the excellent service of Rettacciai.